The Salvation Army became embroiled in controversy, including internally, when it agreed in 2012 to accept a $22 million contract from the Australian government in relation to the Manus Island and Nauru immigration detention centres for people who arrived by boat to claim asylum here. By 2013, the contract had risen to $74.9 million for the year to 31st January 2014. The new government has recently announced that the contract will not be renewed after that date. For the benefit of readers from other countries, Australia has had many people set out from, mainly, Indonesia, in often unseaworthy boats headed for Australia to claim refugee status. Many of those boats have sunk en route, with the loss of at least 1,000 lives. Whether or not to accept these people has become a significant political issue in Australia. Both of the two major political parties refuse to accept these people as genuine refugees and now detain them in centres on the small Pacific island nation of Nauru, and Manus Island, off the coast of Papua- New Guinea, while their claims are processed. Apparently, this policy will encourage many of them to return to their homeland, or face indefinite detention. Debate on all of this runs hot in the community, on both sides of the argument. The spokesman for the Salvation Army is “major” Moulds (see previous posting on electronic gambling machines), who says the contract is for the organisation to provide case management, community liaison programs, chaplaincy and recreational activities for the inmates of the islands. Moulds’ decision to accept money for chaplaincy services to gambling venues from their owners, caused a split between his “Eastern Territory” (which covers Queensland State, New South Wales State and the Australian Capital Territory) and the “Southern Territory” (which covers the rest of Australia). A similar split has occurred because of his decision to accept government money related to the immigration detention centres. Most of the asylum seekers on these islands come from countries where a uniform is to be feared, such as Iran, Afghanistan, Iraq and Sri Lanka, so they do not see much difference between the uniformed guards and the uniformed Salvation Army officers. They are hardly likely to open up to the Salvos in the counseling and emotional support contexts. Another serious problem is that the locals on the islands are mostly catholic, so the presence of the Salvation Army can generate its own conflicts. Indeed, one Salvo officer referred to the opportunity to extend its “mission” to these islanders. More importantly, though, is that the vast majority of the inmates are of the Muslim faith, so Christian-based chaplaincy seems inappropriate. Most Australians pride themselves in having a multi-cultural society in which all religions are respected. The most serious case of the Salvation Army’s hypocrisy on the refugee issue was reported by the Refugee Action Coalition, soon after the government contract was first awarded. Although denied by “Major” Moulds, it is claimed that internet usage restrictions were imposed, both as punishment, and to cover up for the government with regards to the poor living conditions on the islands. Smith reported that, a day later the Salvation Army began monitoring individual’s use of the internet. The Salvation Army bosses of the computer room were calling security guards to the room to monitor the internet use by some of the asylum seekers regarded as ringleaders. 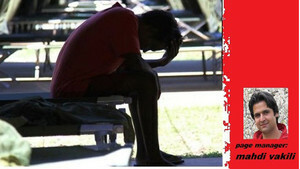 Last year, riots broke out in the Nauru centre, inmates escaped, and the center was burnt down. Most media sources attributed this to the poor living conditions, but one has to wonder how much of the base feeling of despair of being cut off from internet contact with loved ones back home added to the tensions. The government had been very careful to not let media take photos of the facilities, and not even Amnesty International was permitted to take any on a visit to Nauru, so the Manus detainees’ photos attracted wide attention. Apparently, the government was not too happy about these photos getting out. According to Reimer, in what they were told was explicit punishment, Manus detainees were deprived of all internet and phone contact for three days. Since then, the tablet cameras have been disabled, and detainees’ web allocation has been more than halved to only three hours per week. Maybe, the Salvation Army could give back the $100 million and start all over again, while the pigs fly south for the Australian summer. This entry was posted in Uncategorized and tagged asylum seekers, Australian Royal Commission, Australian Royal Commission into Institutional Responses to Child Sexual Abuse, boat people, Bruce Haigh, detainees, detention centers, Green Left Weekly, Greg Lake, immigration, immigration department, Kerry Smith, Lewin Blazevich, Lewis Blayse, Manus Island, Nauru, Nauru riots, Nick Riemer, off-shore processing, refugees, Salvation Army, Salvation Army government contracts, Salvos. Bookmark the permalink.